Running in Bozeman, Montana. 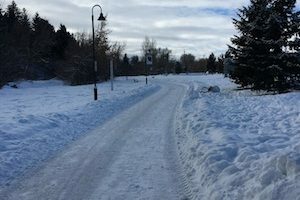 Best routes and places to run in Bozeman. 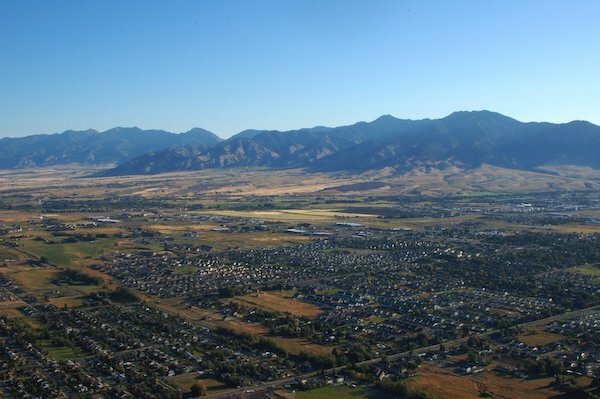 Bozeman is one of our favorite small towns for running in the United States. An outdoor recreation mecca, in the vein of Boulder, Asheville, and Moab, this city of 50,000 (plus 16,000 students at MSU) is surrounded by three mountain ranges, three rivers, and is a gateway to Yellowstone National Park. Folks come in the summer for hiking, fishing, and kayaking, while two nearby ski areas are the main attraction in winter. 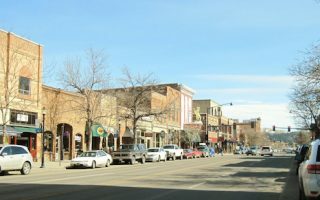 The historic downtown areas has a great feel, with numerous restaurants, brew pubs, and outdoor gear shops. There’s great running in Bozeman, owing to many trails preserved by the Gallatin Valley Land Trust. Right downtown, the best places for running are the Gallagator Trail, Peet’s Hill/Bozeman Trail, Sourdough Trail, the historic residential side streets off Main St., and the MSU campus. Just north of town, East Gallatin Recreation Area and Gallatin Regional Park feature nice trails with great mountain views. 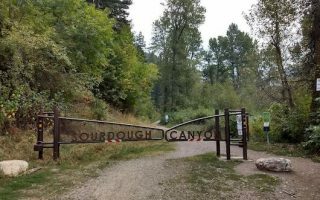 For some hill running near town, head to the College ‘M’ Trail, or the Sourdough Canyon Trail. A few notes:. Bozeman sits at 4,800 feet, so it might take some time for those lungs to get adjusted. Make sure to hydrate! And be aware that the winter climate can affect road and trail running conditions. Some of the trails are maintained for X-C skiing in winter. 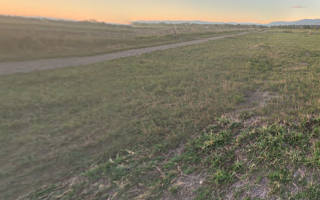 There's some nice running in downtown Bozeman, featuring pleasant residential streets, the campus of Montana State University, numerous parks, and the 1.7 mile Gallagator Linear Trail, which passes through three parks. The signature off-road path in downtown Bozeman. Runs from E. Main St. near the public library, south for 1.7 miles to the Museum of the Rockies. Flat and very pretty, passing through three parks. Numerous add-on/loop options. 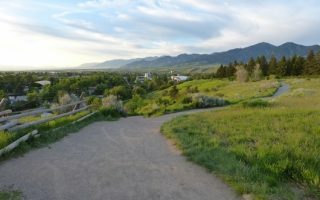 Popular 4-mile loop following the Bozeman Trail, which includes a short but steep climb of Peet's Hill for great views, and the so-called 'Holly Cherry' loop. Numerous options to vary and add-on. HILLY! 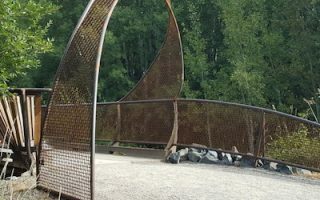 Gravel path located in at the southern end of Bozeman, running from Grafs Park for 1.7 miles through Gardner Park, to Tuckerman Park. Combination of open fields and tree shaded areas. For longer run, Gallagator Trail is just north. Pleasant park located 3 miles northwest of downtown, featuring ~2 miles of flat, gravel trails making a figure eight around two ponds. Nice mountain views, and swimming in summer! Residential streets north and south of the park are good add-on. A great spot for a run and a swim in Bozeman! 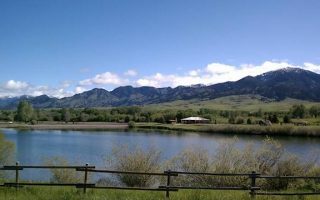 Located 3 miles north of town, the East Gallatin Recreation area features miles of trails looping around a pond and along the Gallatin River. Post-run, head to the beach and enjoy the water. 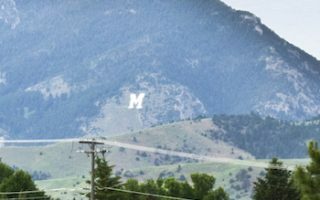 A short but challenging hike/run to a fun destination: the hilltop College 'M' sign. The 'College M Trail' is a 1.8 mile loop, open and scenic, climbing 800 feet in 1 mile, with 10-11% grades! Other trails in the area, hilly & challenging. Good opportunity for a long, gradual climb on an old fire road paralleling Sourdough Creek. Mainly wooded, wide dirt road, with 620 foot elevation gain averaging 2.4% grade over 5 miles. Many other fire roads in area for a longer run. 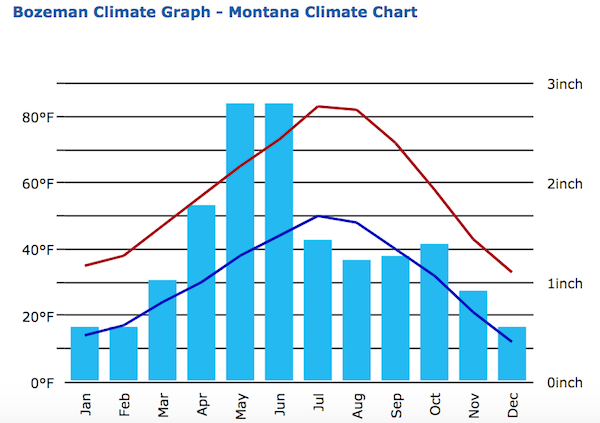 Bozeman has great weather for truly seasonal running, with cold winters and warm summers. In summer, temperatures average in the low-to-mid 80s (26-28C), but it’s mainly dry and sunny, with nights cooling off into the 50s. In winter, average highs are just above freezing, but lows dip into the teens (-10C). It can be snowy in winter, averaging 60-80 inches annually. But generally the climate is sunny. If you don’t have a car and want access to nice running, try to stay at one of the hotels or an AirBnB right downtown or near the MSU campus. Just north of downtown, there’s a good number of chain hotels in the strip mall-ey area along E. Baxter Rd. near I-90. Bozeman Running Company is a great independent running store located right downtown, on Main St. Great selection, great staff. Very involved in the local running scene, sponsoring numerous events. They also have local trail maps.